Students are usually careless while writing the question number. If the examiner is not able to make out the question number, the student will lose marks. A. Always write correct number of the question you are attempting. Incorrect question number doesn’t help even if the answer is correct. B. Numerals must be written in standard notation. Do not write them carelessly, lest they should be difficult to decipher. The way you write a figure must not be mistaken for some other number. C. Write the question numbers in bold. Encircle the question number, so that the examiner may easily find out which question they are evaluating. D. If a particular question has a few sub-parts, those too must be written correctly, boldly, clearly and legibly. These are also called the multiple-choice questions. The questions are high scoring because these test memory retention of students. The answers to these questions are usually simple, and for these high level of intelligence and understanding is not required. ü Objective-type questions may be asked in multiple ways. The answers to such questions must be written in full sentence or in a few words. ü Sometimes, for the objective-type questions, where alternative answers are not given, correct answers need to be filled in the space or gap provided. In this case, the correct way of answering the question is to write the answer with the question number and underline it. ü Some questions have a yes or no option given. You must clearly write yes or no with their question numbers. Long-answer type questions are based on the holistic and intensive study of the entire syllabi of subjects. 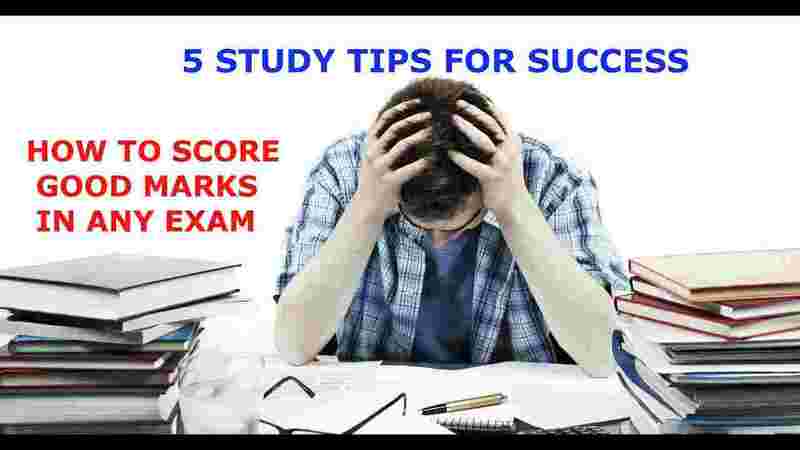 The questions carry six to eight marks and that is why they substantially affect the final score and results of students. These questions have also the word limit of around 300 to 350 words. But here too, it is not any hard and fast rule. As long as your answer focuses on contents and is relevant to the question asked, going beyond word limit is not an aberration. Start answering these questions with the brief introduction of the topic concerned or the definitions of the related topics. ü Laws, rules, theories, theorems, principles must be stated wherever necessary. ü Answers must be divided in smaller paragraphs. Each paragraph must contain important contents and points not discussed earlier. ü Use diagrams and graphs wherever essentially required. If these have not been demanded in the question, avoid wasting time on them. ü Formulae and their derivations must be written clearly and step-wise. ü Keep answers clean and do your best not to make any overwriting and cuts. If you commit any mistake, do not spoil the page to correct it. ü Proceed step-wise to solve these questions. ü Formulae must be written very clearly. Also explain the various symbols and notation used in the formula. It shows good attitude and culture of the students. ü Overwriting in calculation must be avoided at all costs. ü Write figures or numerals exactly correct and in their standard notation. Here again do not write the figures hurriedly and carelessly. ü You must do rough work either at the margins of the same page or on the pages before the last page. At the top of these pages you must write rough or miscellaneous. § You may start writing answers preferably from the third page of the answer copy. However, even if you begin answering from the second page, it would not be an issue. § Answering questions in sequence or in serial order gives you an edge over others who answer haphazardly. But, here too, again it is not any rule. You may answer any question first you feel confident about. § You must leave a few lines’ gap between two consecutive answers. The bottom line is answers of any two questions must not overlap each other, otherwise you may lose marks of one of the answers mistaken by the examiner for the answer of a single question. § Always write the entire answer on the same page or pages in sequence. Spreading your answers in different pages is not considered wise. Disclaimer: We took this information from "the Tribune" Newspaper published on 2nd Jan. 2019. So all the rights of above information goes to that newspaper only.